Alright.. updates from the Previous Week (Dev Stream #73) and Last Week (Dev Stream #74).. Updates from#73 first.. Mathieu & Not_Queen are back from NYCC 2017 with lots of pics..
Also.. about something I really wanted to know.. 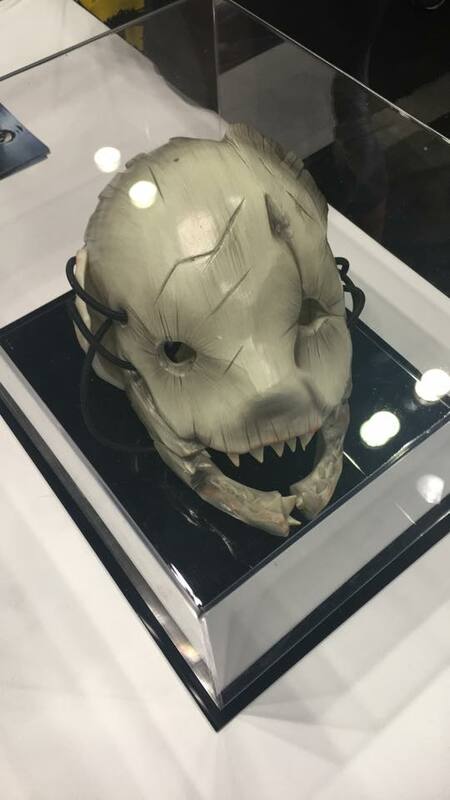 The Trapper Mask that was shown is still in the prototype stage so they don't know when it will be up for sale in the store. 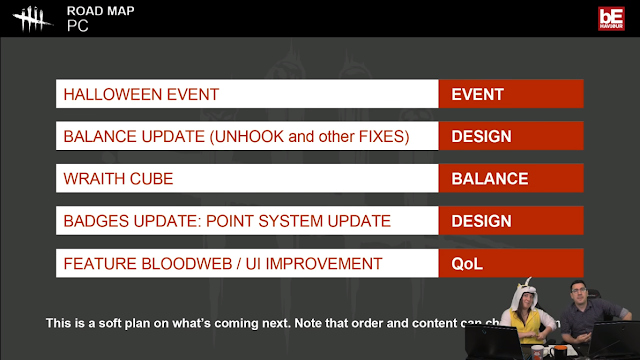 Halloween Event: The event will run from 26 Oct - 1 Nov. No news about how much Bonus Blood Points will be given but there will be no challenge goal to hit. Just Bonus BPs! The game itself already has an update, with a new look to the Lobby and other cool stuff. 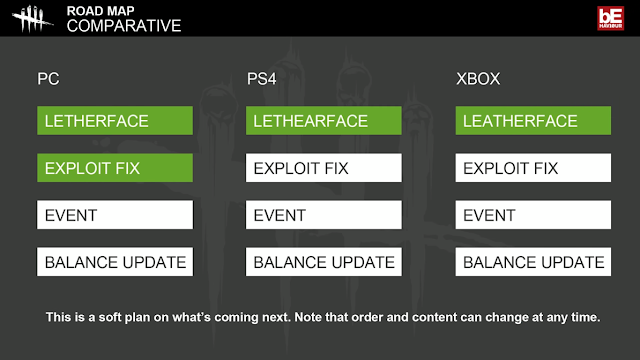 Take a look at some of the changes here..
Moving on to the Road Map..
Now that all Platforms are almost on the same build, the PC Road Map is also relevant to Consoles. Thomas, the Game Economy Designer came on board and they discussed the Hook Rescue Change. 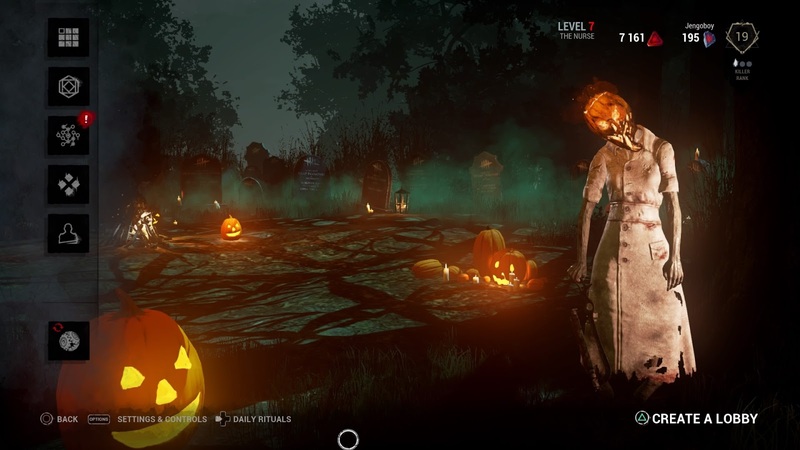 Currently, the Killer can stand right in front of the Hooked Survivor and block other Survivors from rescuing him/her. The new change will allow Survivors to rescue the Hooked person from other angles. Still, not the best solution against a "Face-camping" Killer, but at least it is possible to do so now. He also talked about his wish to see a better reward system on a regular basis, citing some form of rewards for the end-of-the month Rank. 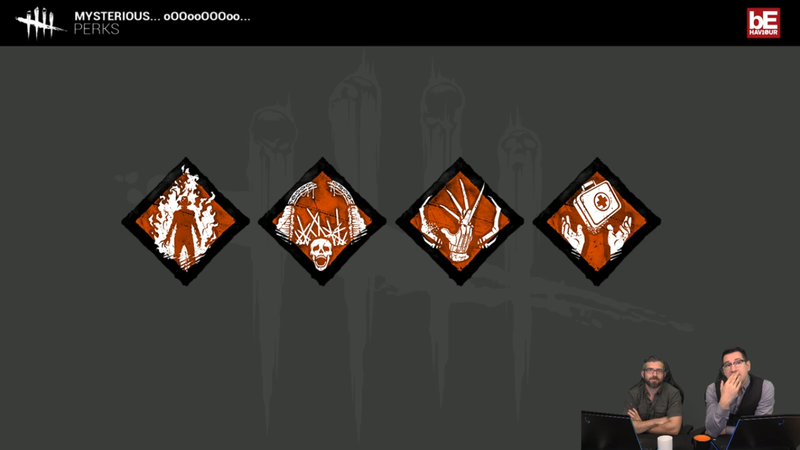 This is something that I have mentioned in groups as well, and if done right.. together with the Survivor/Killer Pip System, it could encourage players to focus more on doing the 'right' things to rank up. 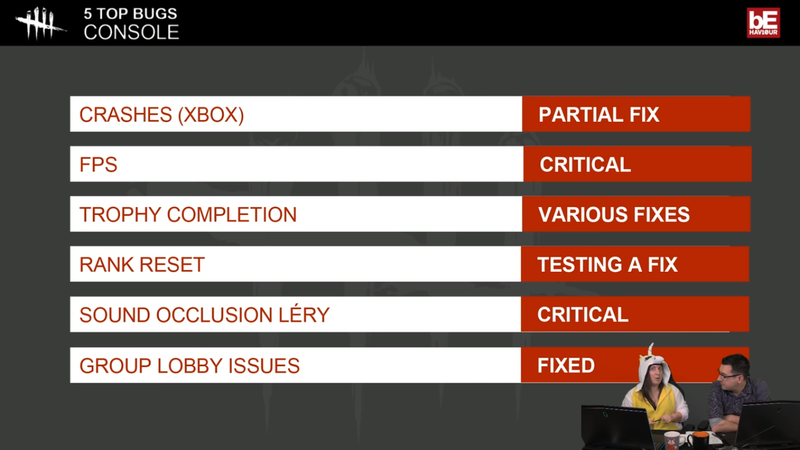 For example, less camping, less DC-ing and more Pip-based actions like Hooking, Gen-repairing etc. What do you think? The Developers also addressed complaints about Killers not being fun and how some people keep dying. I still don't understand the complaints personally. In an asymmetrical game, it's bound to feel different when you play either Survivor or Killer. Plus, there's so many Perk combinations and styles of play. Not surprisingly, not every game is going to feel the same or end with the same result. That's the beauty of the game. Sort of a cat-and-mouse game where you have to outsmart and outplay your opponents and at the end, there's going to be only 1 winner. Really don't understand the complaints.. Anyway, that's about all for #73 and before we go on to #74.. Here's an interesting teaser that was released..
Freddy Krueger confirmed as the next Killer! Quite a surprise to see another licensed Killer from a movie coming to Dead by Daylight so soon, but a very welcome addition! Here's an image of his add-ons. Very child-themed.. This was not explained as well as what his ability is. 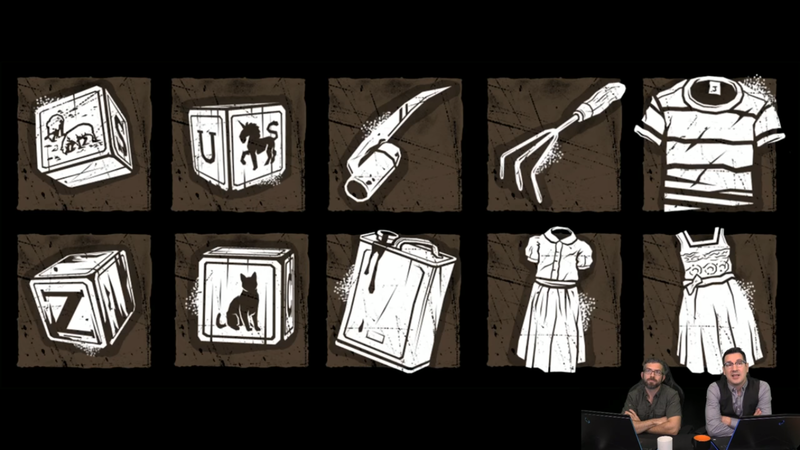 However, they showed the images of the new Perks coming to the game with the Freddy Krueger DLC. Fire Up (Killer): Gives the Killer increased action speed each time a Generator is repaired. This could actually be very interesting in the way Survivors play the game. Especially those who intentionally farm blood points via other actions. It's not going to be safe to farm at the end so would you rather do other actions first before repairing Generators? Blood Warden (Killer): When gates are opened, the first person you hook will create Entity Spikes at the Exits, blocking Survivors from escaping for 1 minute (Higher Perk Ranks increase the length the Spikes stay up. Outlines of Survivors near the Exit Zones are also shown to the Killer. Oh wow, this is really going to change the end-game dynamic quite a bit. All those Survivors hanging around after the gates are open are going to think twice now! Add this with the Hex: No One Escapes Death Perk for lots of fun! Remember Me (Killer): Obsession Perk - Whenever you hit your obsession, it will add 5 secs to the 'Open Gate' action. The increased time to open the gates will only affect the other Survivors and not the Obsession. More changes to the end-game dynamic but I haven't really used the Obsession Perks so can't comment much. Pharmacy (Survivor) - It allows the user to search chests faster and make less noise, with the first chest searched, giving a guaranteed Yellow MedKit. No news on the Release date of this DLC but it will be soon. Will include a Killer, a Survivor and a Map. 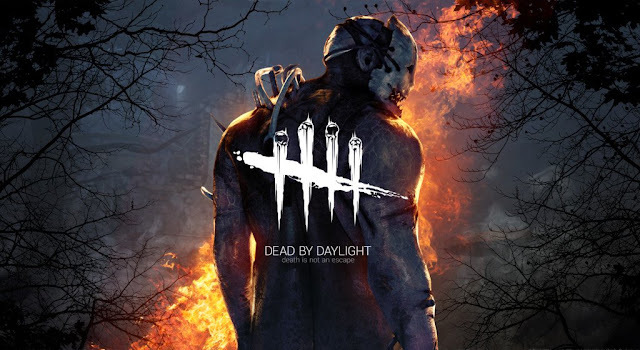 Also on the Halloween-themed items currently in Dead by Daylight..
- Survivor Halloween-themed Flashlight and Med Kits will no longer be able to be acquired after the Halloween Event. Those already in your inventory will stay however. And that's it for this week! Next Dev Stream will reveal the full details of the Halloween Event and hopefully release dates for the new DLC. Let me know in the comments below.. What you think about the new Halloween look to the game. Are you excited for Freddy Krueger and also do you think the changes to the Hook Rescue action will help to solve Face-camping?